People with atopic dermatitis are more prone to infections of the skin, particularly those of the viral, bacterial, and fungal kind. In those with the condition, the immune system is more focused on allergies than fighting infections. This means that the skin has less infection-fighting chemicals, giving various bacteria, especially Staphylococcus aureus, an easier shot at colonizing. Colonization and infection by Staphylococcus aureus cause various problems in people with atopic dermatitis. 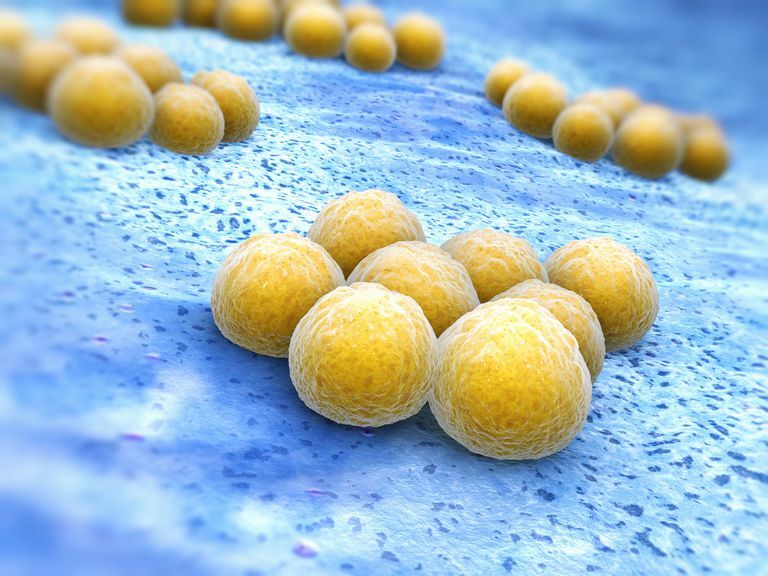 This bacterium not only causes skin infections such as impetigo but also produces bacterial toxins to which many people with atopic dermatitis are allergic. These bacterial toxins can worsen eczema, but treatment with antibiotics can improve symptoms in people with bacterial colonization even if there is no obvious skin infection. Fungal infections, such as tinea and yeast infections, are also more common in people with atopic dermatitis. This may be partially due to the use of topical steroids, which can suppress the immune system of the skin. But, it may also be in response to the lack of special infection-fighting chemicals in the skin of people with atopic dermatitis. Treatment of fungal infections can improve the symptoms of atopic dermatitis. Viral infections are also more common in people with atopic dermatitis. These infections can be on certain areas of the skin, such as is the case with herpes infections and molluscum contagiosum. They can also involve the entire body, as seen with eczema herpeticum. People with atopic dermatitis and severe herpes infections may require oral or intravenous antiviral medications to treat these infections. Also, those with atopic skin are also more susceptible to infection, because the barrier function of atopic skin is compromised. This means that the disease itself causes breaks in the skin, where infection-causing microorganisms can enter. Atopic Dermatitis Practice Parameters. Ann Allergy Asthma Immunol;93:S1-21. Ong PY et al. Endogenous antimicrobial peptides and skin infections in atopic dermatitis. N Engl J Med;347:1151-60.